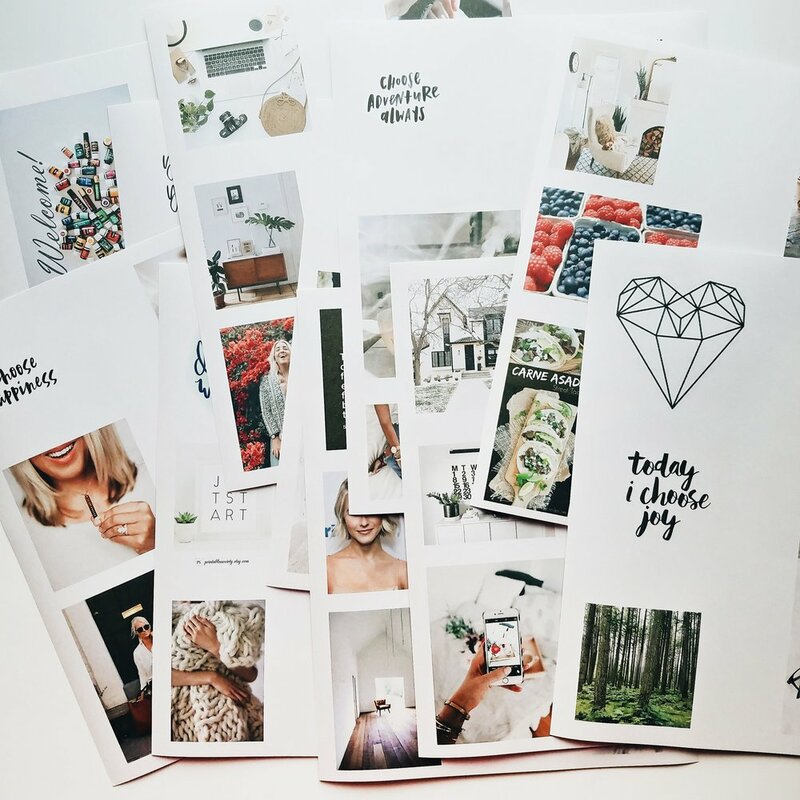 Many people (myself included) believe that a great way to help you visualize your dreams daily and work towards making them a reality is to create a vision board. These can be done in several ways and can be beneficial to working some of the things that you want in your life. This is the second year in a row that I’ve made a physical vision board. I love having it out in the open and in a spot that I can see every day. Revisit it throughout the year, don’t just walk by it everyday. 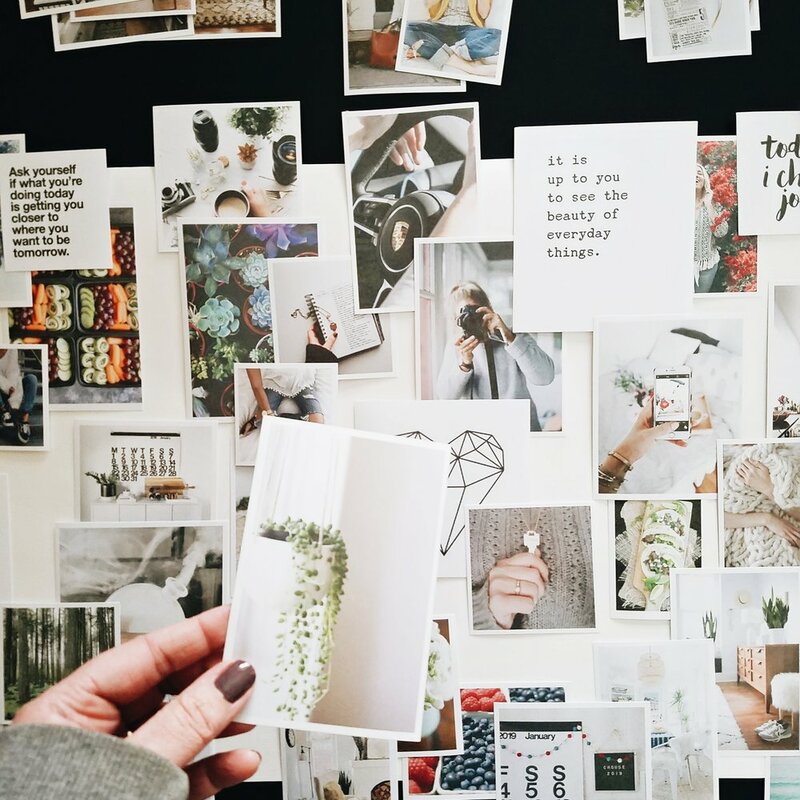 Take a moment and look closely at these images that meant something to you when you created the vision board…getting closer to your dreams yet? If not, step up your game. 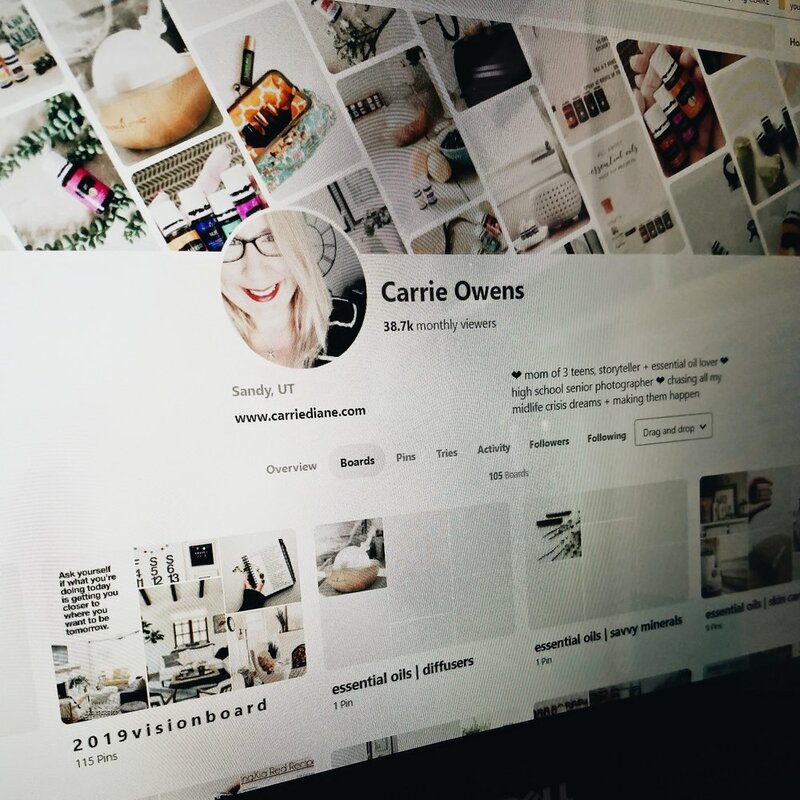 For my vision board I started compiling images on a pinterest board late last year - things that went along with my One Little Word, anything that struck me as visually appealing. Clothing that I liked, hair cuts that I love, food that I enjoy, quotes and other visual reminders of some of my big goals. I added all of these to a board in pinterest and then started weeding through them. I saved the images (some of them are mine from my instagram account) and printed them out on photo paper in varying sizes. I accidentally printed the photos on the back of the photo paper and I loved the matte finish, so I kept going with that - happy accident :) After I printed them out I laid them all out and sorted into categories and started arranging. Once I was mostly happy I started securing them to a poster board and hung it up in my office to see every day. 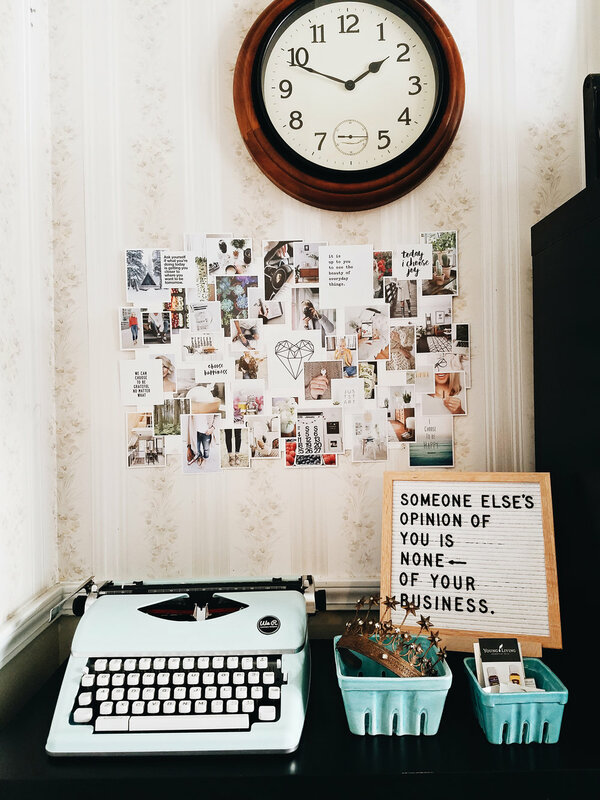 Have you thought about creating your own vision board? I would love to see it! Most importantly have fun - there’s no wrong way to do this!